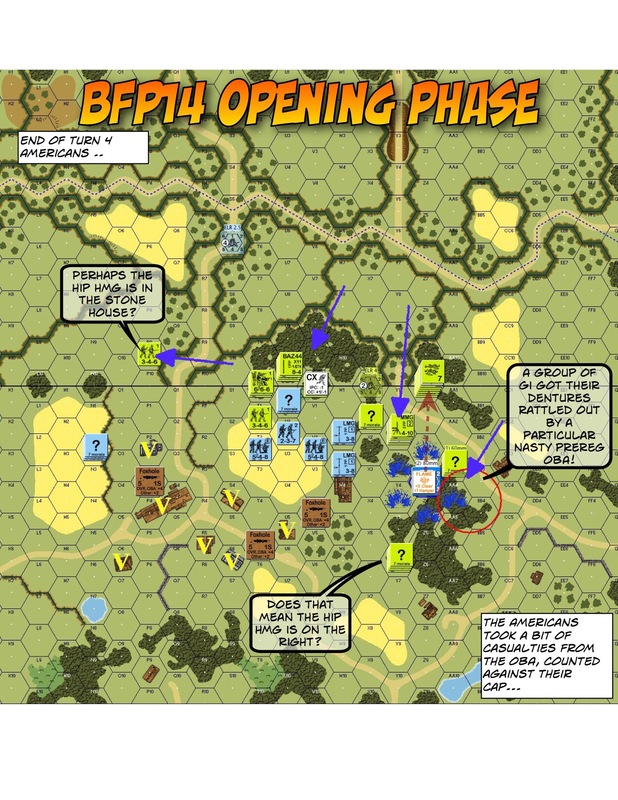 It’s July 25 1944, the 83th Infantry Division “Ohio”, tried to pushed through a bocage area held by a few SS squads and some REALLY good guns. 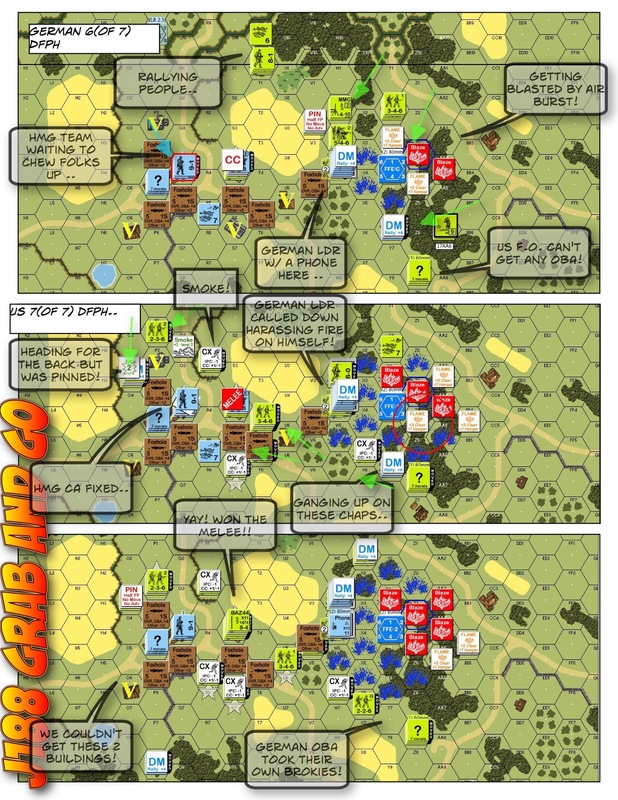 They are to push from the green dotted line to the red dotted line with 37VPs (minus German CVPs) in 7.5 turns. 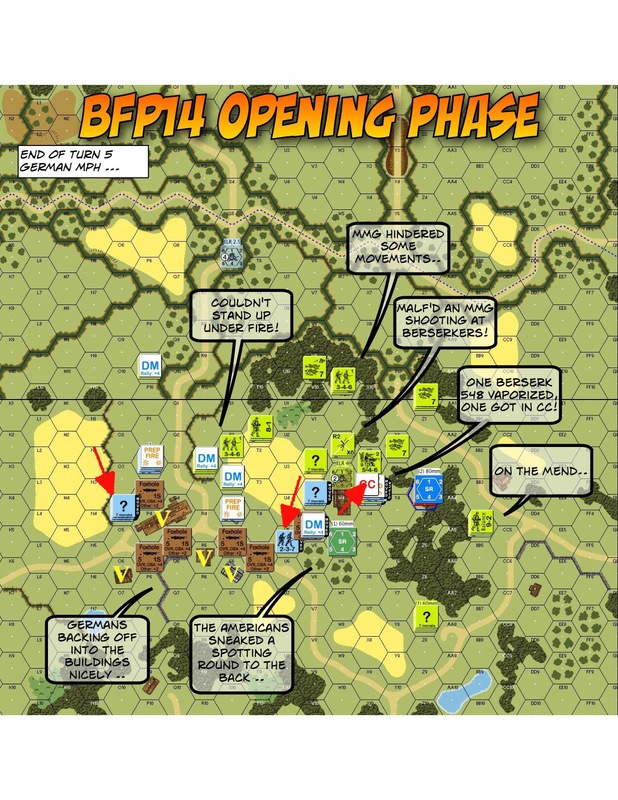 The action came hot & heavy on Turn 1 where all German HIP units (apart from the Raketenwefer) were revealed and the “Ohio” lost 3 out of 8 AFVs ..
You are going to see a lot of bocage country. 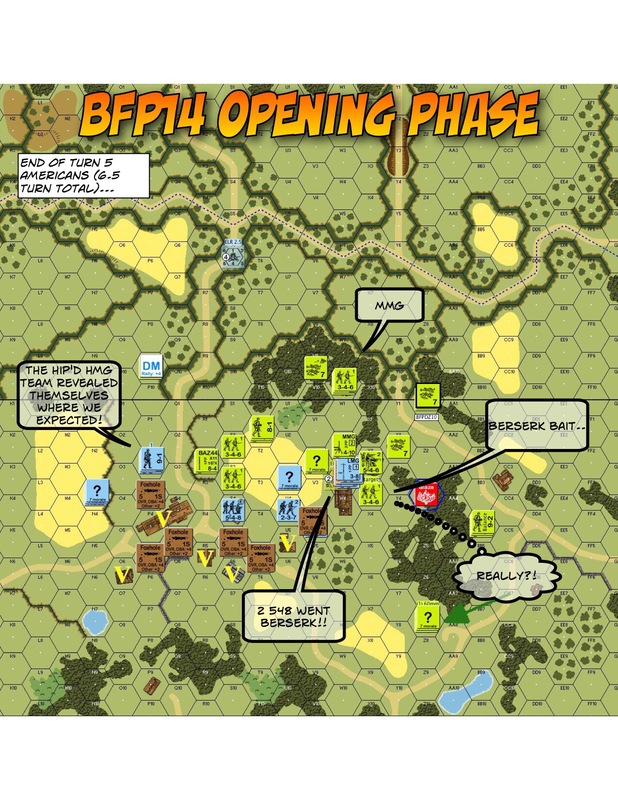 We are going to play the whole of BFP Operation Cobra front to back. 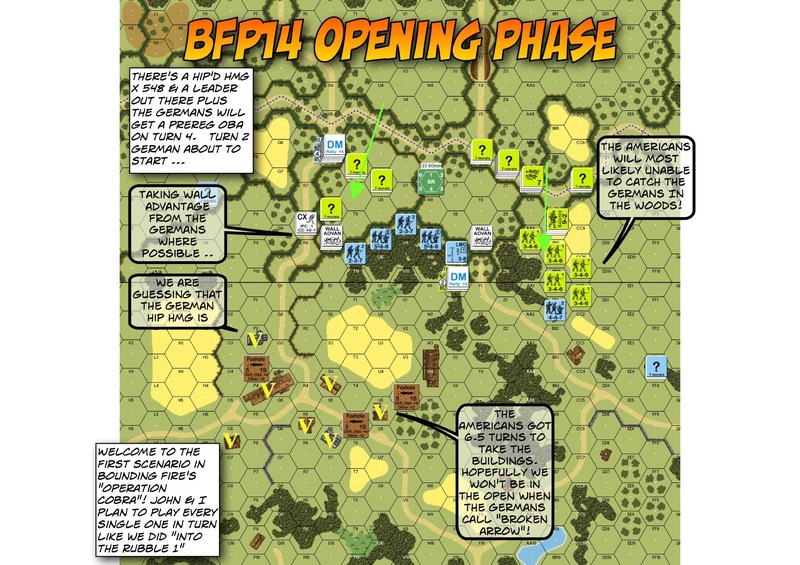 We already did BFP14 Opening Phase, so this is the second one ..